To avoid confusion and save unnecessary shipping, please contact us before returning any merchandise! We will provide you with an RMA # (Return Merchandise Authorization) Returns without this number may be refused — so please contact us before mailing! We want you to be ecstatic, not just satisfied, with your purchases. To that end, we offer a 10-day examination period for all purchases; and we also try to make returns or exchanges as painless as possible. If you are having a problem with a purchase, or did not receive something you ordered, we will do everything we can to solve the problem promptly and in a courteous manner. Please realize that fountain pens are not like pots and pans. They can be a little finicky, and they sometimes require help from you so that they can work their best. We will work with you to help you understand what your pens need and how to make them happy. Usually, to save time and unnecessary shipping, we will try to do this before asking you to return a pen that isn’t working for you. The first things we’ll ask you to try are listed in the section below titled Pens and Nibs That You Have Used. Within the examination period, you may return or exchange any unused merchandise except converters or customized pens or nibs. Returned items must be in new condition, with all associated packaging and paperwork included. We do not refund shipping costs for any returned items. Accessories, tools, etc., may be returned for their full purchase price. Pens and gold nib units that have not been customized to your order may be returned. Each returned pen or nib unit will be subject to a $15.00 restocking fee to cover the costs associated with preparing it for resale. Steel nib units that are purchased without pen bodies are not returnable or exchangeable. You may dip a pen to test its nib, but we cannot accept pens that have been filled or that show damage (including wear marks from capping, uncapping, or posting). If you have dipped a pen that you are returning, please rinse its nib in clear cool water and blot dry. Pens or nibs that have been customized to your order cannot be returned or exchanged unless they prove defective. If a nib that we’ve customized for you is not performing properly, please try first to determine whether the problem is you, your ink or paper, or the nib. (See below, under Pens and Nibs That You Have Used.) 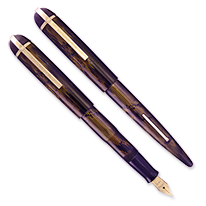 If the nib has been customized as ordered and is not defective, it is not returnable. If you are having difficulty with the writing qualities of a pen or nib that you’ve inked, we can work with you to correct the problem. Note that if the remedy requires [further] customization, there will be an additional charge. Please, if possible, try to save yourself the trouble and expense of sending a pen back by performing some tests first. Different inks can perform radically differently in the same pen. This is something we cannot control. Do to known issues, the use of Noodler’s inks will void our warranty. In most cases, we test pens with Waterman Mysterious Blue ink (formerly named Blue-Black). If your pen is performing poorly with the ink you’ve filled it with, please test it with several other brands of ink, flushing thoroughly between fillings. Different papers can cause a particular pen-and-ink combination to produce surprisingly different results. This also is something we cannot control. We test pens on the pads we sell. If you are seeing skipping, bleeding, or excessive feathering, try different types of paper. In general, better-quality papers will give better results. Different people hold their pens in different ways, and these differences can sometimes cause a nib to perform poorly: it might start hard, skip, or be scratchy. The only remedy for problems caused by the way you hold your pen is customization. If you are having problems with a nib that we provided by itself, not installed in a pen, the tines might have become misaligned when you installed the nib. The instruction sheet that we included with the nib carries a warning about this possibility. The nib was properly aligned when we packed the nib for shipment, and we cannot be responsible if it becomes misaligned once the package leaves our hands. If you send back a pen that’s giving you trouble, but it performs properly on our paper after we have cleaned it and filled it with Waterman Mysterious Blue ink, we will have no choice but to consider that the problem is not the pen itself, but rather between you and the pen. In this case, we can work with you to customize the pen to your hand at our standard rates. If you choose not to have us work on the pen, there will be a $20.00 service charge to cover the costs we incurred in booking the pen in, cleaning it, and testing it. 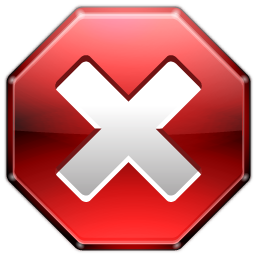 If your item is defective when it arrives, we will exchange it for a replacement or for store credit with us. If it fails after you have had it for some time, we will be happy to help you to contact the manufacturer or the manufacturer’s representative directly.